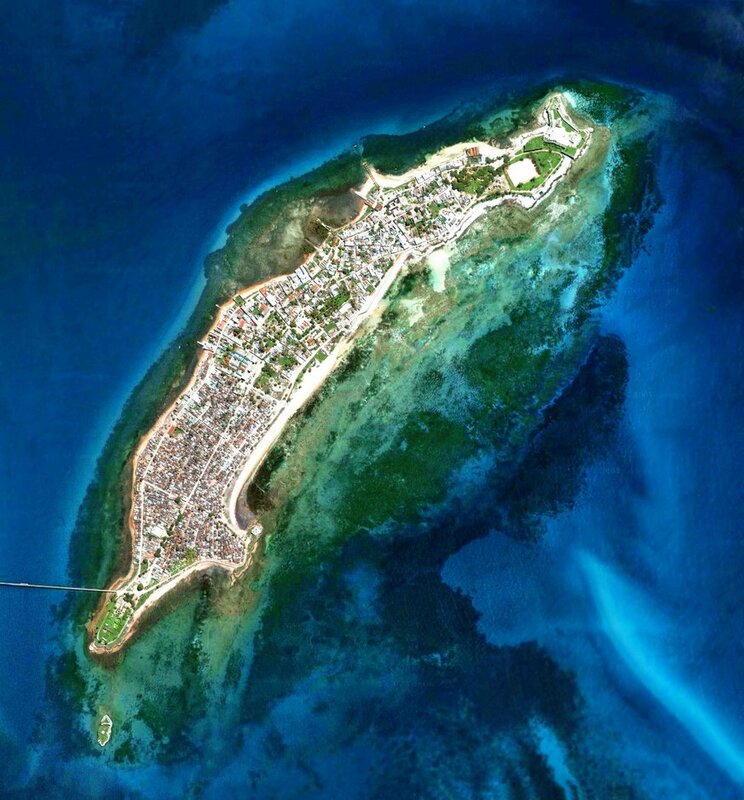 Projecto Oceano is situated on Ilha de Moçambique, an island in the channel of Moçambique in East Africa four kilometres off the coast, opposite Madagascar. 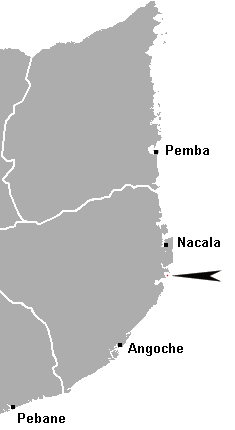 The island is the ancient capital of Mozambique and the foremost exponent of Portuguese colonialism in the Indian Ocean. At approximately 5 km long and 500 meters wide, with a population of approximately 14,000 inhabitants(1), the island is densely populated, with the majority of the population living in the southern end of the island in Makuti Town ("Reed Town") .  The island is facing serious problems of degradation and neglect, many houses stand as ruins and living conditions are often filthy and insufficient. 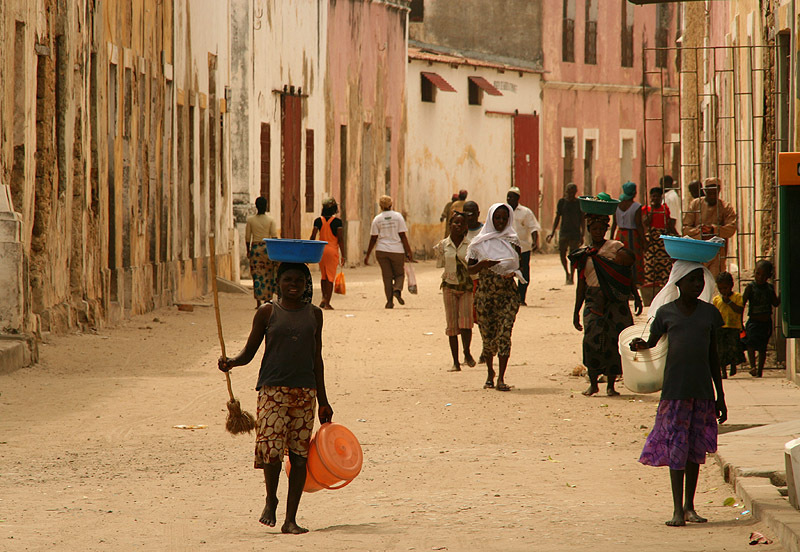 The Island suffers from high rates of infection of the HIV/Aids virus, cholera and malaria(4). 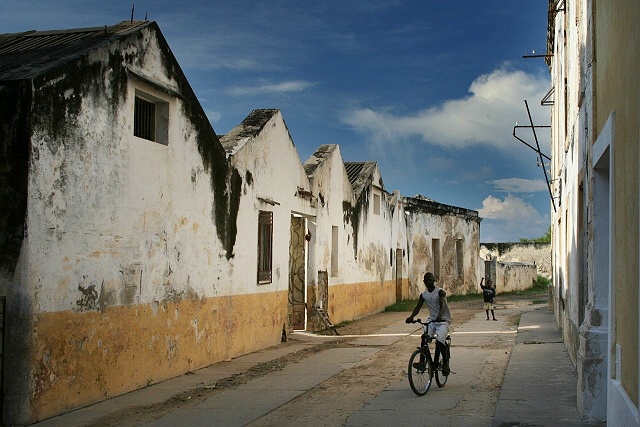 A considerable percentage of the population of the Ilha de Moçambique live in absolute poverty, with the provision of services deeply lacking in relation to other areas of the country. Levels of unemployment are high and the population live generally from fishing or tourism. The island has few organised activities available for the youth. This shortage means that children are always searching for something to do, to stimulate themselves. Consequently, Projecto Oceano has cited this great potential, both physical and intellectual, as an opportunity to be explored. The island’s strategic location, (both before and after the opening of the Suez Canal in 1869) had a great impact both on the Island’s and Mozambique’s as a whole economy. The main goods traded were spices, gold, ivory and dark African wood. Furthermore, the Island acted as a safe harbour for maritime expeditions between the western African coast and India. 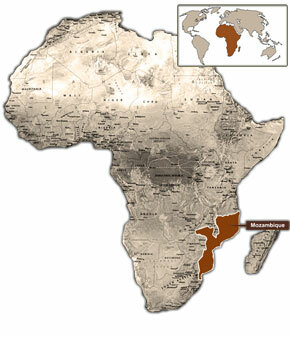 Following the Portuguese revolution on 25th April 1975, Mozambique became officially independent from Portuguese rule. In 1991 UNESCO declared the island a World Heritage site (3). Ilha de Moçambique was for hundreds of years a major centre of intercontinental maritime trade from Europe to the East Indies. It was occupied by Arab merchants from the tenth century until the end of the fifteenth, and in the sixteenth century became a port of call on the route from Europe to the East Indies opened by the Portuguese navigator Vasco da Gama. In 1507, the Portuguese built a fortress on the island. A later fortification that has survived is the fort of St. Sebastian, which was built between 1558 and 1620 and is inspired by Italian Renaissance military architecture. 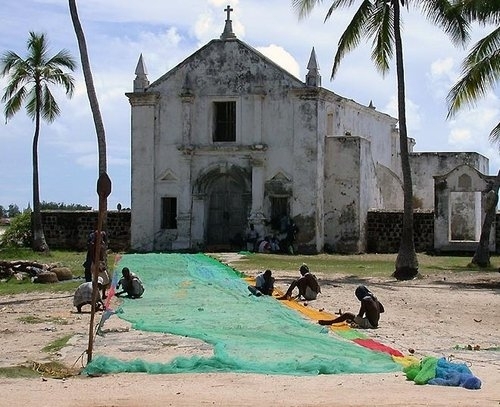 Ilha de Moçambique's harbour grew rapidly during the sixteenth and seventeenth centuries. Its business houses stood on the sea front, along a rocky belt where boats with a shallow draught could land at high tide. Over the years a town of twisting streets lined with flat-roofed houses took shape around a central square(2).